WordPress Themes and Plugins To Help Grow Your Online Business and Make It More Efficient. Automate the process of building Amazon affiliates stores with the WP ShopAzon. Create a complete affiliate video website monetized with Amazon in under 60 seconds. Build an Amazon affiliate store that promotes every product on Amazon and updates itself automatically. Create high converting Amazon affiliate products ads that generate more clicks and traffic. Builds autopilot ecom affiliate website that are monetized with 5 different affiliate programs. Automate the process of building Amazon affiliates sites with the Azon Profit Engine. Easily create great looking affiliate ad boxes that can promote any affiliate program you wish. AffiliRocket allows you to build a complete, monetized affiliate site in just minutes with this automated plugin. 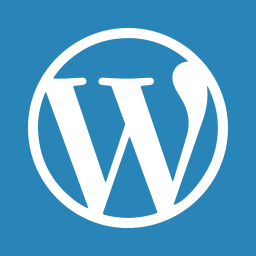 WP Quick Launch automates all the initial steps of setting up and building your WordPress site. Automate the entire process of building eCom affiliate websites with the WP eCom Engine plugin. Quickly and easily create high converting affiliate product comparison tables. Display the hottest selling products in any category or subcategory on Amazon directly on your site. Create professional looking, high converting affiliate review pages in just a matter of minutes. Quickly monetize any website you own and increase your affiliates earnings with this simple to use WordPress Plugin. Create Amazon affiliate pop up ads for any keyword on your website with this easy to use WordPress plugin. Easily create product bundles for any products on Amazon and increase your commission per sale. Use the familiarity of Facebook to increase your affiliate commissions on all your websites. Quickly and easily create product selection guides on your site and increase your affiliate commissions. The quickest way to build affiliate review pages on your WordPress site. Just enter in your info the plugin creates a great looking review page. Display a "sticky bar" at the top of your site promoting any Amazon product you want. The WP Alert Bar plugin will help you turn more of your traffic into sales! Easily create your own professional infographics with our drag and drop editor. Easily create your own professional ecovers for ebooks, kindle books and more. Quickly and easily create header graphics, social profile images, banner ads and more with this amazing tool. I have purchased several plugins and your Azon Product Pop-up has to be the best I have seen/used.